Asiatique the Riverfront is a fairly new night market located in the heart of Bangkok City that everyone is talking about. 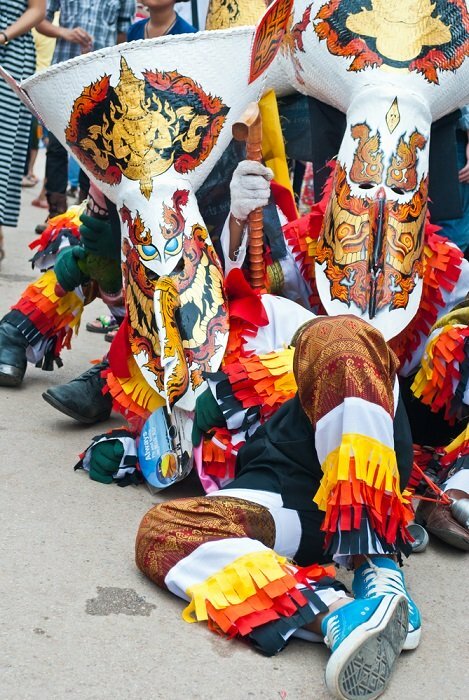 And while it might be filled with social activities such as amusement centres for kids and cabaret for the more mature person, it's a great meeting place where local and foreign families can come together to revel in an energetic environment. You can enjoy a meal at any number of local and international restaurants or you can simply spend your time shopping among the state-of-the-art mega stalls. Whether you have a craving you can't resist or you're looking for something special, there is definitely something for everyone here. 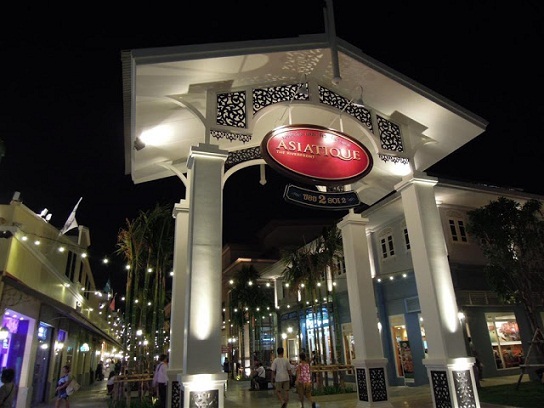 In all fairness Asiatique, set on the banks of the Chao Phraya River, is a shoppers paradise and was initially motivated by the desperate need to replace the Suan Lum Night Bazaar. While Suan Lum had a much more laid-back atmosphere, Asiatique is essentially a combination of contemporary boutique like worldliness coupled with an outdoor bazaar experience. There are some good elements here and some not so good elements. What I miss most at Asiatique are the informal shopping style, the huge food and beer hall and the live music. What you do get instead, is a great shopping experience alongside a beautiful riverside location. And sheltered in a huge replica-like warehouse, you'll find some one thousand five hundred boutique shops and forty places in which to eat. Don't worry, this night market, while it may be a little kitsch in some aspects, it's certainly faultless when it comes to cleanliness. It is extremely well organised and ever so easy to navigate. Perhaps a little too organised for a city such as Bangkok. If you're a Shopaholic and love beautiful designer clothing, custom made jewellery, hand-crafted trinkets and the latest gadgets, (there's an Apple store here too) this could be the perfect place for you. Good shopping, amazing food, a well-behaved crowd, awesome views and great surroundings make for a wonderful night out on the town. Asiatque is more than a late night market, it's a shopping experience of note. But you must get there before the sun goes down so that you can watch it set across the river. Though they both have their own uniqueness, you cannot compare Asiatique to that of the Chatuchak Weekend Market. Chatuchak is rough and ready, overcrowded, hot and humid, but a great place to get lots of bargains. Exactly what you'd expect. Asiatique is neat and clean, easy to find your way around with plenty of air-conditioning in places, but more expensive with fewer bargains. However, it comes highly recommended. In other words, it's a great place to visit and well worth the effort. Dining at Asiatique is a mixture of fast food outlets such as KFC and the Pizza Company, covered street stalls selling a variety of local cooked cuisine, fried foods and other tasty snacks as well as food courts selling all kinds of Thai and Asian dishes. 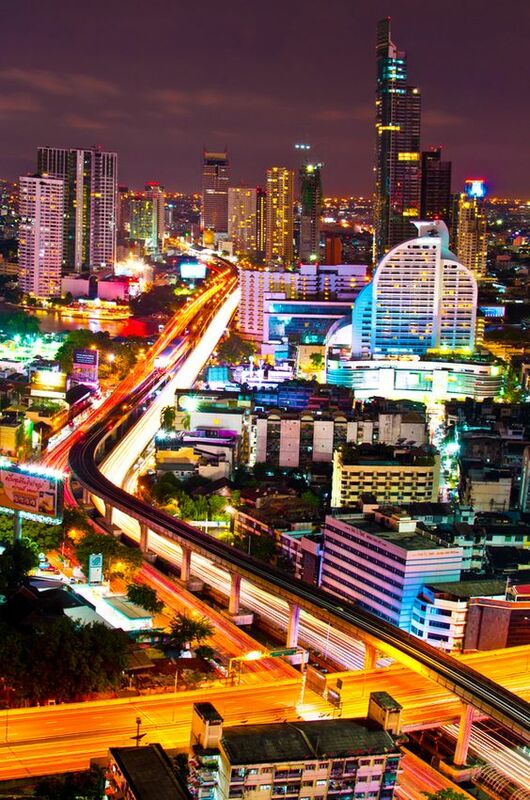 There are also a great many upmarket restaurants, including the freshest seafood kind and bistros specialising in both Thai and international cuisine. In the Town Square, you'll find mostly cheaper eateries, cafes, quite a few bars and an open area where street performers and special events often take place. As far as entertainment goes at Asiatique, you can start off by going for a thrill ride on the big Ferris Wheel, also known as the Bangkok Eye, for just 200 THB. The pods take up to six people and you'll get to see the whole market and surrounding riverside as it stops and turns a number of times at various stages. Other entertainment choices at Asiatique The Riverfront that is sure to satisfy your curiosity and at the same time, be a heck of a lot of fun. Two of them are some of the biggest draw cards here. The first one I want to mention is the much loved Thai puppet show at the Joe Louis Theatre. The show also includes amazing shadow puppet dancing made famous in Thailand and other Asian countries. Joe Louis Theatre was originally located at Suan Lum Night Bazaar but because the place was closed down, they moved their shows to Asiatique. Another long-running show that moved to Asiatique The Riverfront was the dynamic Calypso Cabaret show, which I have to admit, is even better than before due to this new location, bigger theatre space and fresh new look. You haven't been to Thailand if you haven't watched a ladyboy cabaret show. In fact, both these performances attract huge followings and should not be missed. Now would be the right time if you are planning to visit this exciting new venue. The easiest way to get to Asiatique The Riverfront is without any doubt by boat. It's less stressful than going by taxi and it can also be an excellent opportunity for you to have a fun free ferry ride. Asiatique provides a complimentary (on the house) shuttle service from the pier at Saphan Taksin BTS station. The ferries run approximately every twenty minutes from 17:00 pm with the last one leaving at 23:00 pm. Each trip takes just ten minutes or so. On the other hand, if you decide to go by taxi, be prepared for long delays due to heavy (rush hour) traffic in the area and especially on the roads leading to the street entrance. Asiatique is open from 17:00 pm until midnight.